Located eight miles north of Charleston. Follow US 17 and turn onto Long Point Road. 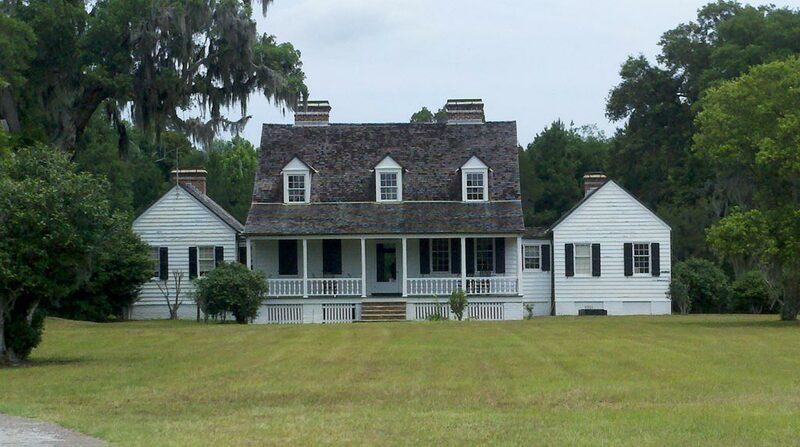 Current status  The house and 28 acres of surrounding land are owned and operated by the US Park Service as Charles Pinckney National Historic Site. The remainder of the land has been developed as a country club and residential neighborhood. Two alternate theories of founding dates and early owners of Snee Farm have been found by researchers. If you have documentation to support either of these findings, please let us know.
?  Butler conveyed the land to John Givens (8). 1730  John Givens gave the property to Benjamin Law (8). Nathaniel Law received a King's Grant on April 22, 1698 for 1,055 acres (9, p. 382).
?  Nathaniel Law left the property to his son Benjamin Law (9, p. 382). 1738  John Allen purchased 615 acres from Benjamin Law (8). 1744  Allen purchased an adjoining 100 acres from James and Sarah White (8). 1748  John Allen died leaving the property to his widow Anne Scott Allen (8).
?  Anne Scott Allen married John Savage (8). 1753  The property transferred from John and Anne Savage to William Scott and then from William Scott to John Savage. These transactions were probably for legal or estate reasons (8). 1754  John and Anne Savage sold the property to Colonel Charles Pinckney II (Note: Is appears John Savage was the sole owner of Snee Farm at this time due to the 1753 transaction, however, multiple sources state John and Anne Savage jointly sold the property to Pinckney) (8). 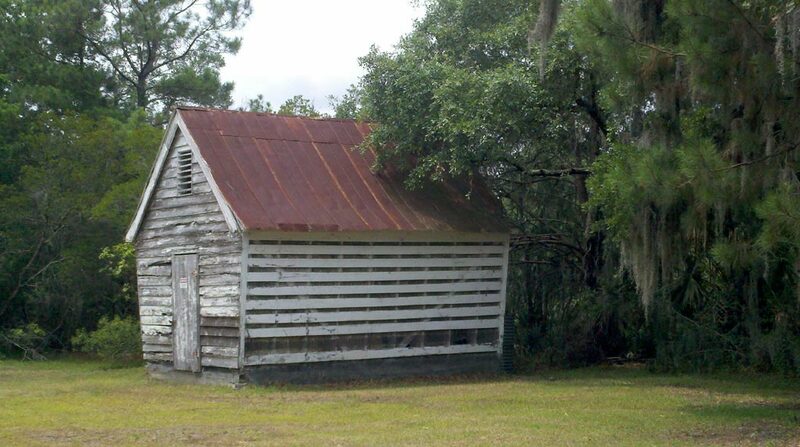 1754  House was built by Colonel Pinckney (8). 1782  Colonel Pinckney died and bequeathed the farm to his son, also named Charles Pinckney, who signed the Constitution and served as the governor of South Carolina, a US senator, and a US representative (8). 1791  George Washington had breakfast at Snee Farm, Mr. Pinckney's country estate, during his Southern Tour on May 2nd (8). 1815  Pinckney III was forced to turn over Snee Farm to trustees Simon Magwood, Charles Kershaw, Hasell Gibbes, and Robert Y. Hayne in an effort to settle his debts (8). 1817  Pickney's trustees sold Snee Farm to Francis G. Deliesseline for $4,380. Snee Farm consisted of 767.5 acres at this time. Pinckney III died a few years later, in 1824 (1, p. 52 and 8). 1828  Deliesseline defaulted on his mortgage and Snee Farm was signed over to the Master in Equity, William Gibbes (7, p. 5 and 8). 1828  William Mathews purchased the plantation from the Master in Equity, William Gibbes (7, p. 5 and 8). Mathews razed the house and built a new one, which is the house that exists today (1, p. 29). 1841  A plat shows Snee Farm as being 915 acres (8). 1848  Mathews left the property to his daughter Susan B. Hunt. At this time the plantation was about 700 acres (7, p. 10 and 8). 1853  The property was sold by the estate of William Mathews to William and Mary Jane McCants (7, p. 5 and 8). 1859  William McCants died and left Snee Farm to his son Lockwood Allison McCants (8). 1870  Sold by Lockwood A. McCants to William Jervey (7, p. 5 and 8).
?  Jervey defaulted on his mortgage and the property transfered back to McCants (8). 1888  Lockwood A. McCants died leaving his property to wife Mary Jane Hamlin McCants (10, p. 17). 1900  Records show Snee Farm was transfered from Mary Jane Hamlin McCants to Frederick Weiters then from Frederick Weiters to Thomas J. Hamlin (7, p. 5 and 8).
?  Osgood Darby Hamlin inherited the plantation from his father Thomas J. Hamlin (7, p. 5 and 8). 1931  Osgood Darby Hamlin died and left Snee Farm to his wife Julia Lehre Welch Hamlin (5). 1936  Thomas Ewing purchased Snee Farm from Julia Hamlin and proceeded to enlarged the house (1, p. 47 and 8). 1943  Snee Farm passed from Thomas Ewing to his daughter Alexandra Ewing Stone and her husband Thomas Archibald Stone. The Stones had previously owned nearby Boone Hall Plantation. The Stones resided at Snee Farm (8). 1961  Alexandra Ewing Stone died (11). 1968  The property was sold by the estate of Alexandra Ewing Stone to S. Guilds and Joyce Hollowell (7, p. 6 and 8). 1986  S. Guilds and Joyce Hollowell sold the property to Creekside Mobile Home Park/C and G Investments. C and G Investments had plans to develop the property into 40 residential lots and began grading (7, p. 6 and 8). 1988  Shortly after the 1986 transaction, Friends of Historic Snee Farm, Inc. formed with the goal of preserving the historic site. In 1988, Snee Farm was transferred from C and G Investments to Friends of Historic Snee Farm, Inc. The Friends of Historic Snee Farm, Inc. donated $1.3 million towards the $2 million price of the property (7, p. 6 and 8). 1990  Snee Farm Plantation transferred ownership from Friends of Historic Snee Farm, Inc. to the National Park Service and is today operated as the Charles Pinckney National Historic Site (7, p. 6 and 8). 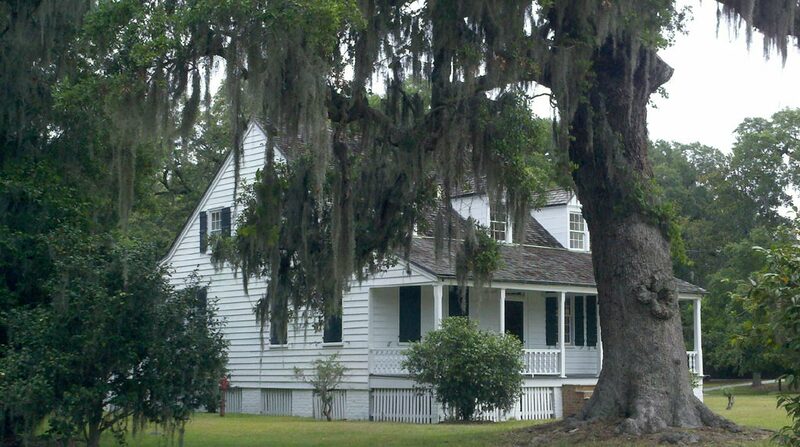 1995  The Charles Pinckney National Historic Site opened to public (8). The current clapboard house was built in 1828 replacing the original house. In addition to the main house, a barn (built 1944), corncrib (built 1910), and caretaker's house (built 1936) are also on the property (1, p. 54).